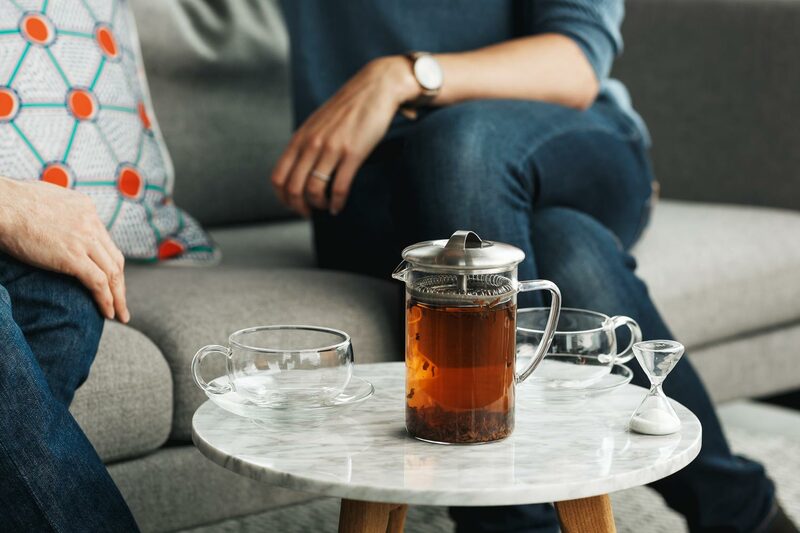 With the festive season rapidly approaching, and the temperatures dipping across the UK, we put JING Tea’s Two Cup Teapot Set to the test, the perfect present for those who appreciate the finest freshly-brewed tea. JING Tea prides itself on producing the world’s finest teas and hand-crafted teaware, and for good reason. It is the brand of choice for some of the globe’s most renowned chefs, including Heston Blumenthal and Pierre Gagnaire, and is also served by many five-star hotels. 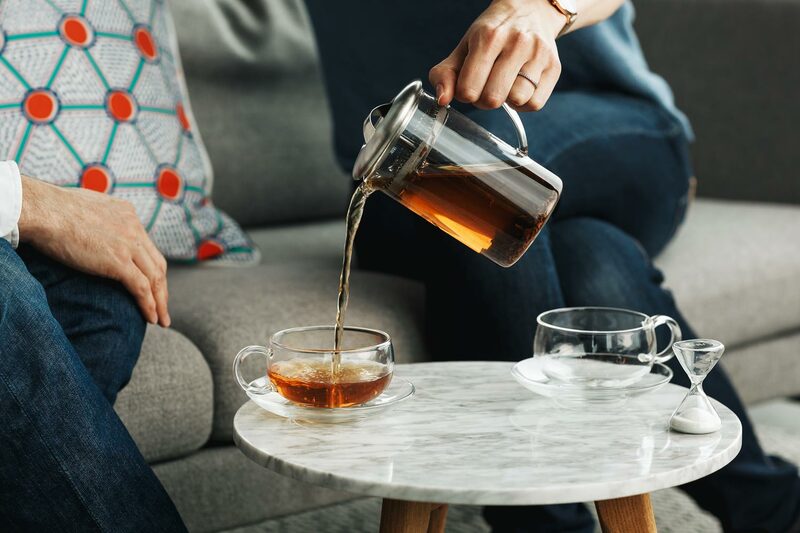 The signature tea set, which is priced at £68.50, features a 500ml teapot and two 300ml matching glass teacups and saucers, the perfect way to share a brew with others for a morning cuppa or an afternoon break. All elements in the set have been hand-blown by JING’s highly-experienced masters using the purest borosilicate glass, which is revered for its durability and crystal clarity. Apparently, each piece of JING glass takes around four days to produce. The design of the pot itself is based on the Chinese Gong Fu tea principle of fully decanting an infusion, meaning that its contents match the total capacity of the two cups perfectly, so that nothing is ever left over. Also, a cleverly-engineered in-spout coil filter means that when you pour out the tea, none of the leaves should ever end up in your cup. Our Two Cup Teapot Set came with a smart gold and blue-coloured JING Origins Explorer box (also available as a gift for £20), housing a selection of five single-origin loose leaf teas inspired by Asia’s ancient tea culture, and all chosen by the brand’s Head of Tea, Tom Price. Each comes from a different part of the continent, such as India and Japan, and the leaves are sold in individually sealed gold packets for freshness. The instructions point out that the tea only needs to be brewed for three minutes, and there is also a recommended hot water temperature, either 70 or 100 degrees Centigrade, to fully appreciate the experience. We sampled the floral, buttery and refreshing Oolong tea from Chiayi in Taiwan which gives off notes of spring flowers and fruit. The loose tea leaves, which are full of flavour, simply need to be entered into the base of the teapot before pouring in the hot water in order to release the distinct aromas. When full, the ornate teapot is still light and comfortable to hold, and well-balanced, as you fill the beautifully sculpted cups on their saucers. In addition, with the pot being see-through, you can watch the brewing at work, as the hot water swirls around and combines with the leaves to produce the inviting beverage. Thanks to the wide circumference of the cups, you can really appreciate the quality of the tea once it has been poured, and with 300ml of steaming hot liquid within your grasp, it was a decent-sized serving to feel that you’re satisfied that you’ve enjoyed a good dose of tea. The glasses themselves are also light to hold and feel relatively sturdy, and as the blurb clearly promises, the tea was free of any remnants from the leaves. 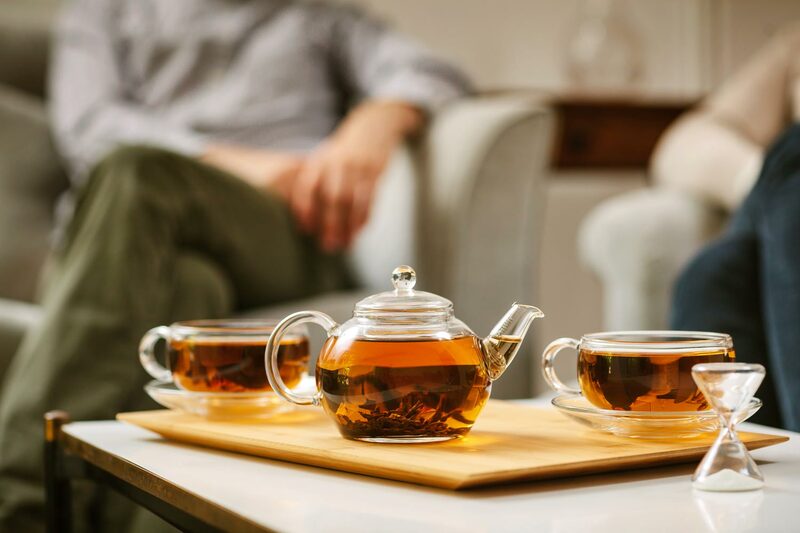 So having tried JING’s Two Cup Teapot Set first-hand, it makes an ideal gift for today’s budding tea connoisseur or aficionado, and should definitely be high up on the list for anyone who enjoys life’s finer scents of loose tea. JING Tea – Where and How? For more information on the Two Cup Teapot Set, and the latest Christmas gifts from JING Tea, visit www.jingtea.com.